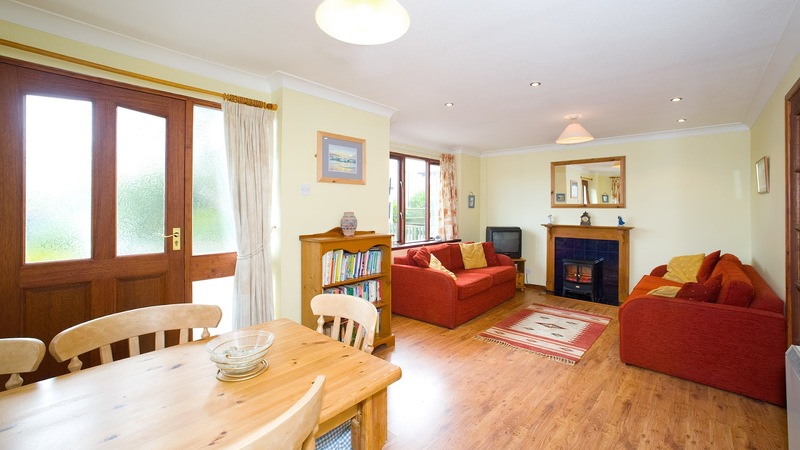 Blackberry is a modern detached single story cottage with two bedrooms. Well equipped and beautifully furnished, making it an ideal base for a family of four or group of four adults (plus a baby). Blackberry has an enclosed well stocked private rear garden and a large front terrace with colourful planted borders and a bench to enjoy the views over the countryside. Ideal for asthma and allergy sufferers, it is non-smoking and does not accept pets. Each year 25% – 30% of previous guests make return visits to the cottage – please see their genuine comments from our guest book. Whether you are after a break with bucket and spade and picnics on the beach; or exploring the green rolling hills of this beautiful local area; or visiting the many places of interest nearby; or poking around the shops of a small seaside town; or just seeking solitude – this area of North Cornwall can deliver!